From left: Tooba Hussain, Miranda Stafford, Assistant Professor Shauna Shames, Ashly Estevez Perez, and Assistant Professor Kelly Dittmar. Women across America are feeling a similar sense of urgency to run for office. Since the 2016 presidential election, there has been a rise in the number of female candidates running at the local, state, and federal levels. According to current predictions, the number of female candidates for Congress in 2018 will be nearly double the amount who ran in 2016. 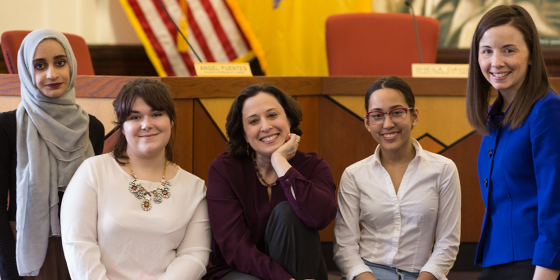 At Rutgers–Camden, two political science professors are studying this phenomenon, conducting research about women’s political underrepresentation and the role of gender in political campaigning, while encouraging female political science students who are looking toward futures in politics. Kelly Dittmar, who researches gender and American political institutions with a particular interest in how gender informs campaigns, is watching this year’s elections very closely. “It’s pretty unprecedented in terms of the degree of increase in women’s candidacies,” said Dittmar, a Rutgers–Camden assistant professor of political science and scholar at the Center for American Women and Politics (CAWP) at the Eagleton Institute of Politics at Rutgers University–New Brunswick. 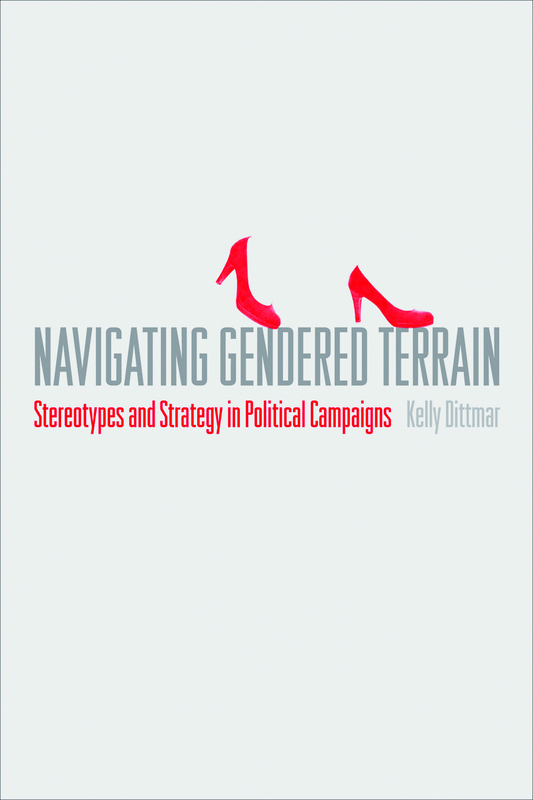 Dittmar authored the book, Navigating Gendered Terrain: Stereotypes and Strategy in Statewide Races, in which she looked at strategic decisions, messaging, and tactics used during political races, as well as how men and women negotiate gender and gender stereotypes while campaigning. Dittmar pointed out that though we’ve seen an increase in women running for office, men also have increased in their number of candidacies. “Women are still highly underrepresented in the candidate pool,” she said. At the start of this year, women were just 23 percent of all the likely congressional candidates, far from equal representation. At the same point in 2016, about 19 percent of likely congressional candidates were women. While there’s certainly been a rise in women gearing up to run for office, the push for women’s political power is a long game, Dittmar said. This is a point she raises while teaching her Women and Politics class, in which she encourages students to analyze politics and political institutions with a gender lens, as well as an intersectional lens. 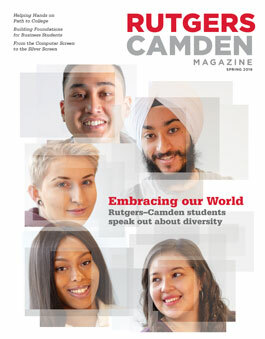 While enrolled in the class last spring, a light bulb went off for urban studies major Ashly Estevez Perez, a rising junior at Rutgers–Camden. For her civic engagement project, she taught what she had learned in class about intersectionality in politics to students in an AP history class at Camden Academy Charter High School, her alma mater. “The class opened me up to things I didn’t yet know about politics in regards to race, economics, and class,” said Estevez Perez, a resident of Camden. 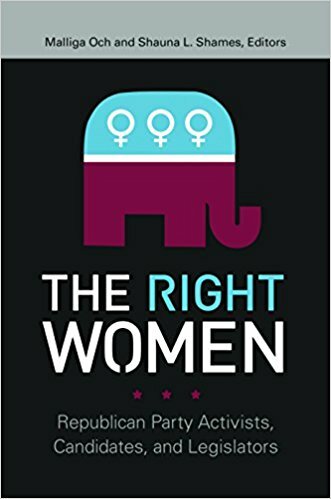 Shauna Shames co-edited The Right Women: Republican Party Activists, Candidates, and Legislators, published in January, and authored the 2017 book, Out of the Running: Why Millennials Reject Political Career and Why It Matters. 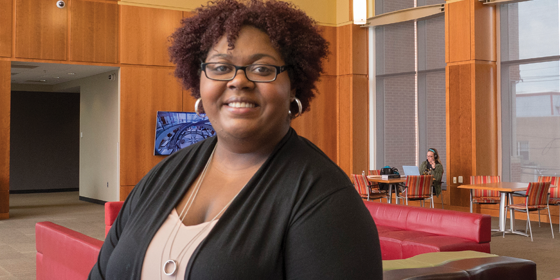 Shauna Shames, an assistant professor in political science at Rutgers–Camden, is also deeply involved in her research about race and gender in American politics, and intensely dedicated to helping advance her students’ futures. Three out of five members of the student club’s executive board are women—president Tooba Hussain, vice president Miranda Stafford, and projects chair Markenzie Johnson—a shift from the mostly male board in the previous year. Their mission is simple: to educate and involve people on campus in the political environment. The organization works to convey that politics is relevant and important in everyone’s lives, not just to those studying political science. The club has hosted events and panels related to issues such as Deferred Action for Childhood Arrivals (DACA), Black History Month, mass incarceration, the American health-care system, gentrification, and more. Markenzie Johnson: A 2018 graduate in political science and Africana studies, she was selected for the New Leadership National Network New Jersey program and won the Robert Packard Memorial Award in Political Science and the Chancellor’s Award for Civic Engagement. Shames is extremely encouraged by the students. “The fact that we have this crop of students who are so active and good at getting the campus mobilized to think about politics just makes me so proud,” Shames said. Shelby Vittek, associate editor at New Jersey Monthly magazine, holds an M.F.A. from Rutgers–Camden.